Leeds remain the only unbeaten side in the Football League but could only draw 0-0 with Charlton. League One's promotion favourites were locked in stalemate but Leeds remain the only side in all four divisions with an unbeaten record after a 0-0 draw with Charlton. As both sides struggled to measure their passes in blustery conditions Leeds created the better chances, but leading scorer Jermaine Beckford lacked his usual sharpness. Put through by Neil Kilkenny's long pass, he shot fractionally wide from 15 angled yards and then just failed to connect with Jonny Howson's low cross into the goalmouth. Charlton keeper Rob Elliot pulled off a flying save to deny Bradley Johnson and at the other end Jonjo Shelvey headed off target from former Leeds captain Frazer Richardson's cross. 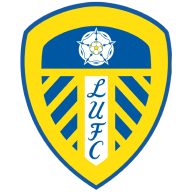 Leeds, already without Robert Snodgrass, lost Argentine striker Luciano Becchio, who limped off to be replaced by Enoch Showunmi in the 36th minute, and Charlton replaced Lloyd Sam with Scott Wagstaff at the start of the second half. 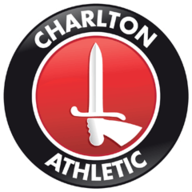 Elliot saved Charlton again by swooping on Showumni's low shot towards the bottom corner and Shelvey forced Casper Ankergren into his first save of the match 15 minutes from the end. Leeds went closest to breaking the deadlock when Showunmi's 86th minute lob just cleared the angle of post and bar.